Databases store and retrieve the lifeblood of any business – its data. 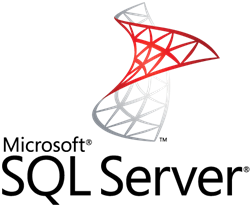 Heraflux provides elite mission-critical Microsoft SQL Server consulting services to organizations of all sizes. Our architects have decades of technical experience in all aspects of SQL Server and how it interacts with the infrastructure around it. Microsoft SQL Server database administration, installation, configuration, upgrades, migrations, and replication. Performance tuning, capacity and resource consumption modeling, efficiency assessments, platform and database optimization, and index improvements. Virtualize your largest and most complex SQL Servers with success with our tried-and-true virtualization migration services. Integration with your Business Continuity strategy with Enterprise-level High Availability and Disaster Recovery architecture, clustering, Availability Groups, VM-level replication, and hybrid-cloud models. Health and performance reviews, efficiency assessments, advanced database and instance optimizations, and holistic system reviews. SQL Server deployment and consistency automation, maintenance operations, alerting and notifications, monitoring, and code delivery. Let us design the infrastructure and database environment for your most demanding and critical databases. Unlock the power of your infrastructure and database platforms by improving the efficiency of your operational data processes. Transferring our years of experience to you through custom-designed courses, built around your unique requirements.